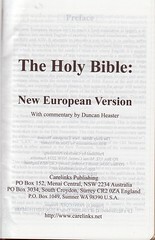 Click here for sample verses from the New European Version. 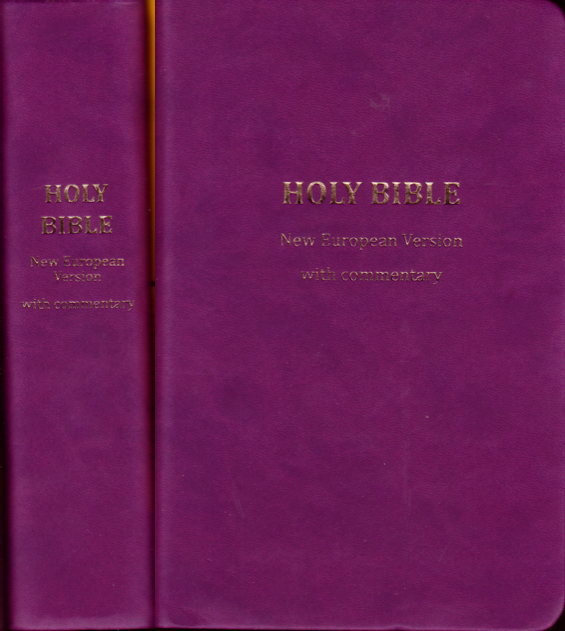 Contents: Protestant Bible with preface. 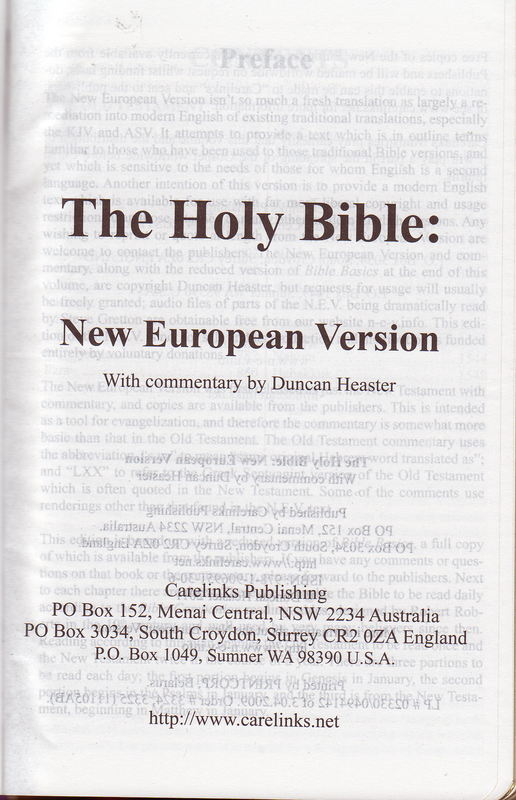 Following the Scripture text of OT & NT one finds »Bible Basics« by Duncan Heaster in a reduced version of 44 pp. 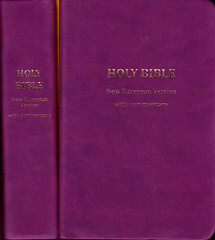 This is a very fine and very readable bible as regards the manufacturing of the book and typesetting. – Regarding the basic text of the NT the Alexandrian (Text Family)– reading as translated in the ASV is clearly predominant. The Bible itself is intended as a tool for evangelization.